Elevate fitness retreats : an absolutely mind-blowing experience that will change your life and the way you live it. ELEVATE is an intimate, personal, transformational experience that develops a realistic approach to healthy living. 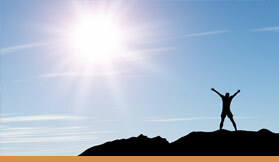 We believe education is the key to create a healthy mind, body & spirit for sustained health and weight. 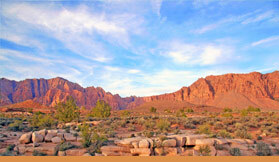 ELEVATE Retreats are located just 7 miles from St George, Utah in beautiful Kayenta and at John Yohman Retreat Homes. With its soaring red cliffs and sage covered open range, Kayenta is the wild-west in all its grandeur. Come nurture your body, mind and soul and enjoy the perfect retreat. ELEVATE is a retreat where guests learn to be self-sufficient in their own transformation. ELEVATE empowers each guest to learn what tools are needed for success in living healthy, losing weight & attaining results. ELEVATE is different in ways in which the guest will be pro active during their stay at the retreat, such as learning how to shop, cook and plan for meals.